If you are using a Lead Capture form on your landing page, then you will need to provide an email address to receive notifications whenever someone fills in the form. Double-click on the form on the page to launch the Form Builder. 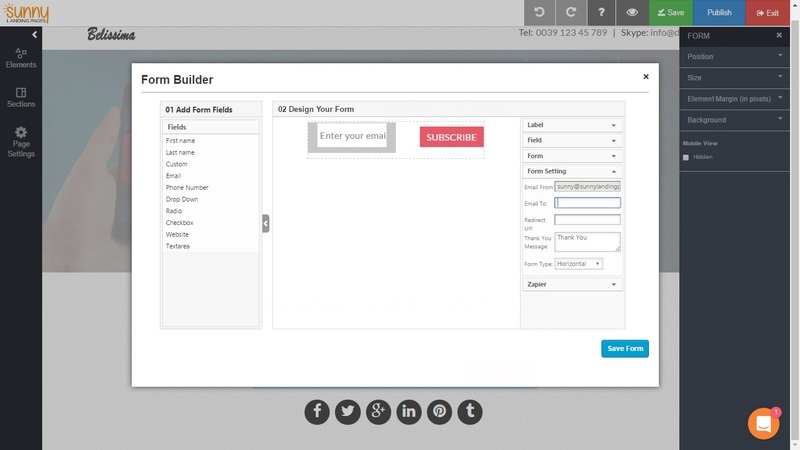 In the Form Builder, you’ll see an option for ‘Email to’ in Form Settings on the right. Remember to save the form. Once you add your email address here, you will receive each lead notification in real-time!